The Nigerian Forum for Agricultural Advisory Services (NIFAAS), recently held a sensitisation workshop at the Federal University of Agriculture, Abeokuta, for non-members with a view to encouraging them to become members. The immediate past Dean, College of Agricultural Management and Rural Development (COLAMRUD), Professor Segun Apantaku, in a presentation titled, “Sensitisation of Non-Members and Benefits of NIFAAS”, emphasised the aims of NIFAAS, saying that the Institute sought to standardise and professionalise agricultural advisory and extension services in Nigeria. According to him, the institute strives to “enhance capacity building and training of members, serve as knowledge platform and enhance communication patterns among members as well as improve the utilisation of knowledge and technologies along with agricultural value chain actors, among others”. Professor Apantaku, who is also the Publicity Secretary of NIFAAS, highlighted the benefits of becoming NIFAAS member, stating that it also makes one to become a registered professional member of the African Forum for Agricultural Advisory Services (AFAAS) and the Global Forum for Rural Advisory Services (GFRAS). 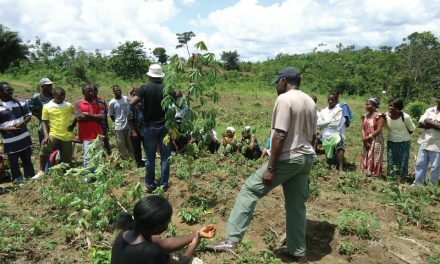 He added that a member would become more effective and productive in Agricultural Extension and Advisory Service provision and have access to development funds for personal, institutional, organisational or client development. 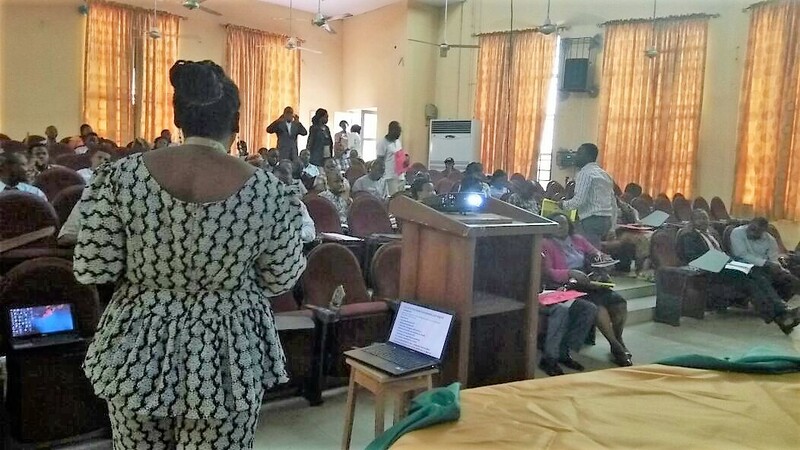 He stated that becoming NIFAAS member would enable the candidate to have more access to grants for research and opportunities for capacity development and attendance of workshops, conferences, training, seminars, among others. 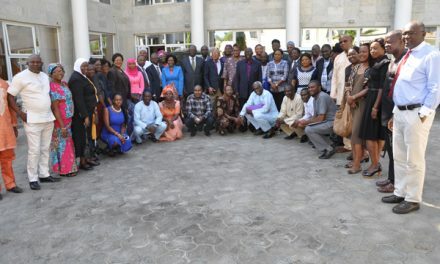 He, however, enumerated some major challenges facing the Forum to include low enrolment of members, put at less than 300, noting that due to poor private sector interest, participation and poor enrolment of extension professionals, managers, officers, workers and farmers as well as unsatisfactory commitment by some members, were major factors negatively affecting the Institute. Corroborating Professor Apantaku, the Head, Department of Agricultural Extension and Rural Development (AE&RD), Professor Eniola Fabusoro, said that NIFAAS was a new professional body, charged with promoting and regulating agricultural extension and advisory services in Nigeria, adding that extension simply meant, ‘Making Life Better’. He said part of its objectives was to raise productivity, increase income and improve resilience. Professor Fabusoro said that NIFAAS was established not for academic purposes only, where members could submit papers, but for also for advocacy, to ensure that charlatans do not practice as extension officers. 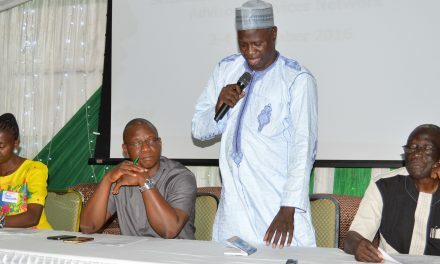 In his presentation titled, “New Paradigm of Agricultural Advisory Services: Insights And Expectations”, the Director, Institute of Food Security, Environmental Resources and Agricultural Research (IFSERAR) of the University, Professor Akin Omotayo, also of AE&RD Department, said the definition of extension and advisory services, saying they were similar but have different semantics. He highlighted some of the basic needs that farmers require from extension officers, which include giving of timely information; forecasting or predictions; and having insights into problems, among others. Dr. Petra Abdulsalam-Saghir, also of the AE&RD Department, spoke on “Introduction to the ‘New Extensionist’ Learning Kit”, where she underscored the aim of Global Forum for Rural Advisory Services’(GFRAS), New Extensionist Learning kit, saying that meeting of experts on GFRAS Consortium on Extension Education and Training, was imperative. Meanwhile, NIFAAS was established on June 23, 2011 with its national secretariat at the National Agricultural Extension and Research Liaison Services (NAERLS), Ahmadu Bello University (ABU), Zaria. 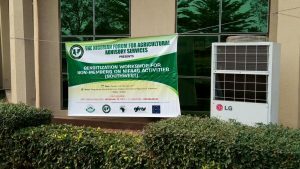 High point of the workshop was a demonstration from the Agricultural Family Connecting (AGRICOM), on the importance of using Closed-User Group (CUG), Airtel Simcards among farmers, designed to drastically reduce call tariffs. 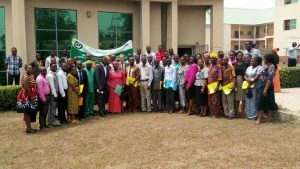 Earlier, the Vice-Chancellor of FUNAAB, Professor Olusola Oyewole, who was represented by the Dean, College of Agricultural Management and Rural Development (COLAMRUD), Professor Bolanle Akeredolu-Ale, wished the participants a successful outing.